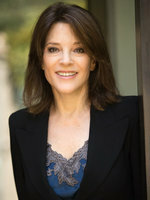 The number one New York Times bestselling spiritual author and lecturer Marianne Williamson is holding weekly lectures every Tuesday night at 7:30 pm at Manhattans Marble Collegiate Church located at 29th street at 5th Avenue. Please enter on 5th ave. This event is also live streamed. Visit marianne.com for further details.